Making up with thanaka, wear Longyi, enjoy tea leaf salad, join Watering Festival is one of interesting things you will experience when traveling to Myanmar. From crowded streets in Yangon to village roads, you could find rustic teashops everywhere in Myanmar. There, the waiter deftly slides through the wooden table, pouring each cup of tea and preparing breakfast. Meanwhile, tourists are still observing the exciting football match, enjoying a delicious morning tea. 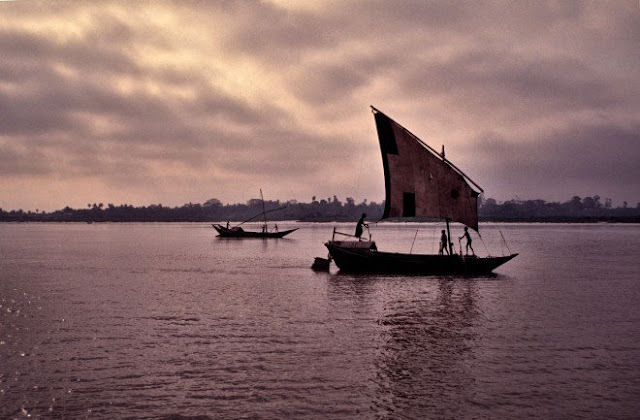 The river flows towards North-South Myanmar and also is the longest of the country. 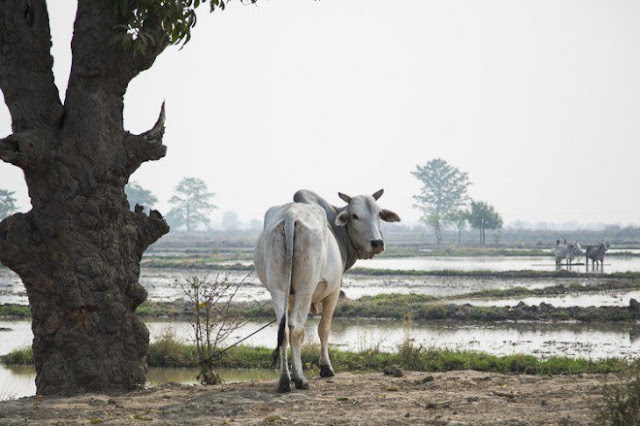 Featuring rustic beauty with local life of the locals along the riverbanks, it can be said that it could not be seen a complete understanding about Myanmar without a day floating on the river. 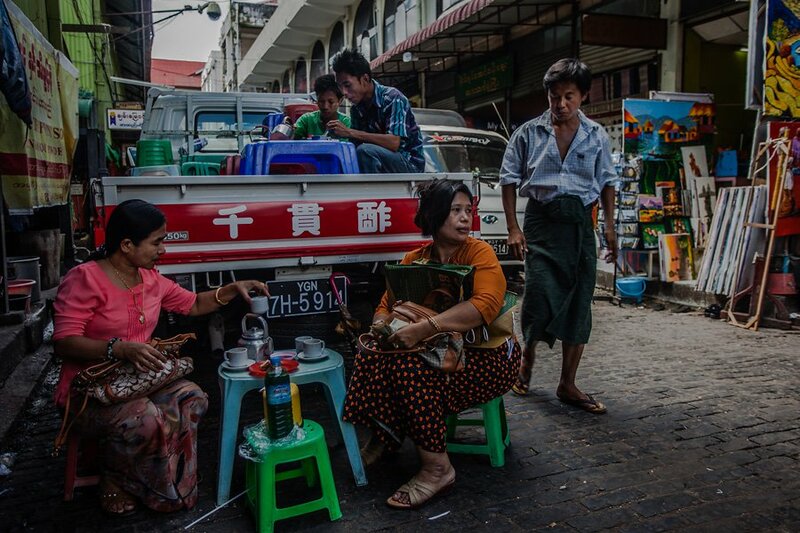 Perhaps, it’s hard to find a place in the world where people eat tea instead of drinking like in Myanmar. 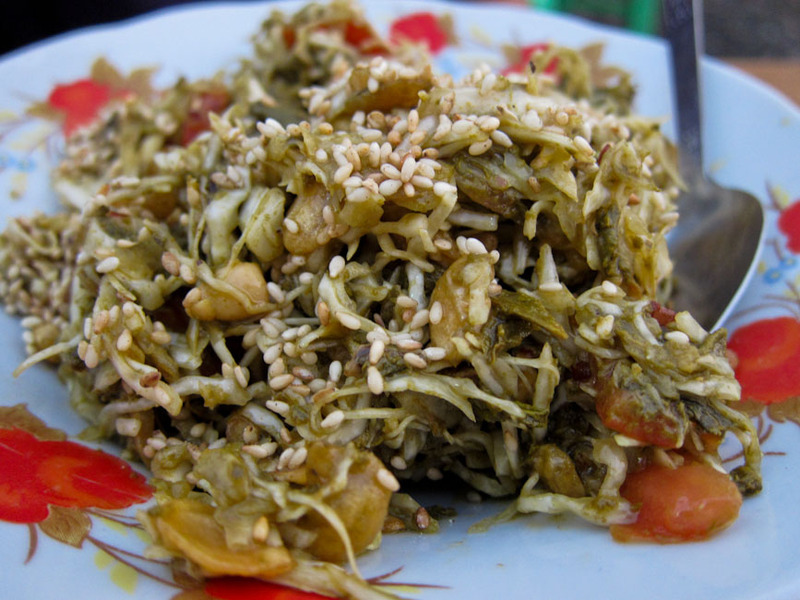 One of the most special dishes of Myanamr people is tea leaf salad made from pre-processed green tea leaf mixed with julienned cabbage, sliced tomato, some kinds of beans, garlic oil and garlic slices. 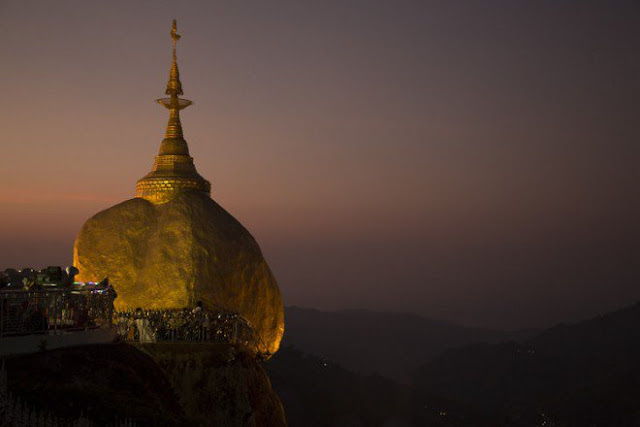 Myanmar always offers you many sacred Buddhist sites for you to pilgrimage or stroll around including Kyaiktiyo Pagoda near Golden Rock or visit monks meditating inside the huge Buddha statue in Mawlamyine. 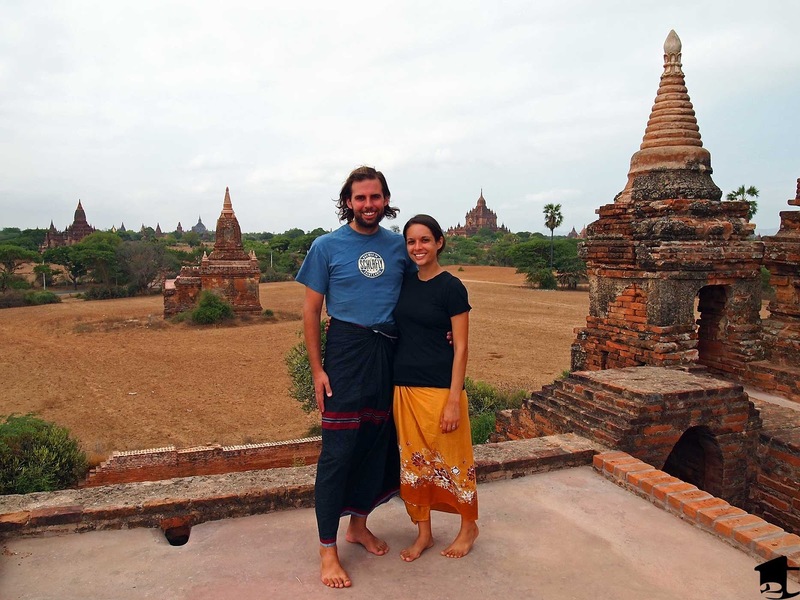 “Nats” are gods in the traditional belief of Myanmar people. In the festival, the locals will give offerings and dance around the “dancer”- who people believe that the Nat God is entering. 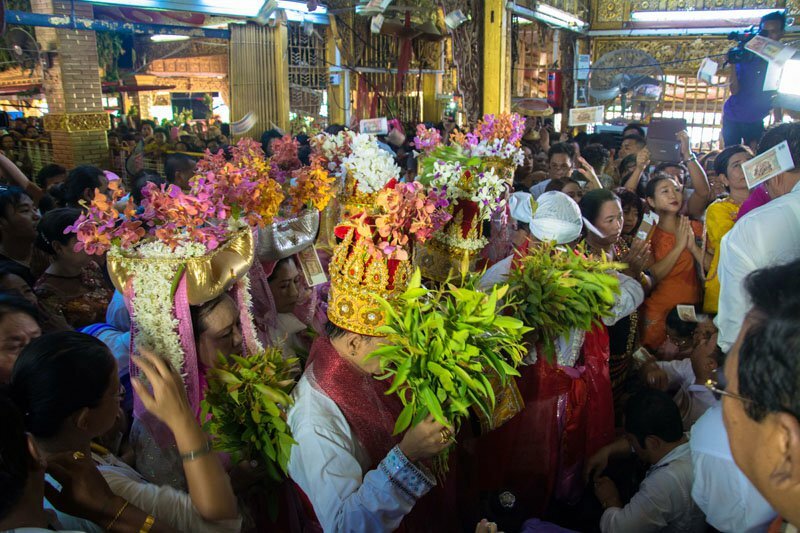 Do not miss the chance to experience one of the most unusual festivals in Taungbyone taking place in August annually on Popa Mount. You may feel unpleasant with delayed time due to the oldness of train system in Myanmar. However, it is a great chance to meet with the locals, monks, women selling sundries, and more important, you could feel the pace of daily life of the locals. 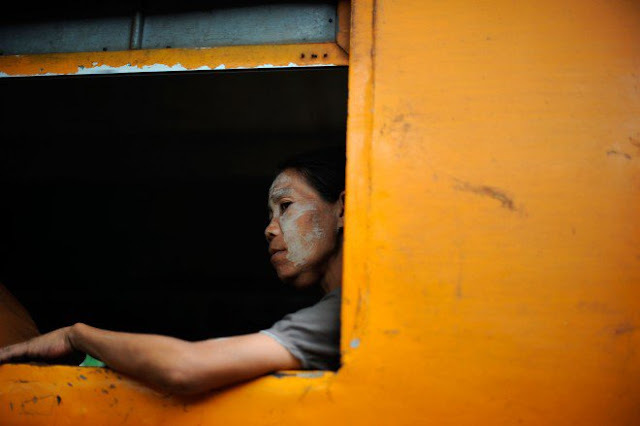 Every morning, Myanmar women and children often apply a smooth powder grinded from the bark – a tree with aroma of sandalwood used to avoid sunlight and care the skin. Longyi is the traditional costume for both men and women in Myanmar. Men often choose dark cloth, wrap around the body and tie into a knot in the front. Meanwhile, women are more charming with colorful dress. 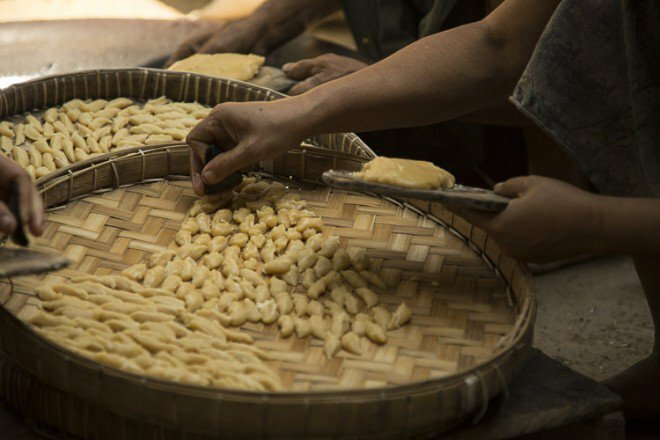 Known as “Myanmar socola”, jaggery candies are yellow and smooth and sprinkled a little fragrant sesame or white coconut fiber. Featuring a unique taste, Tan ye seems to be a special local wine of Myanmar. 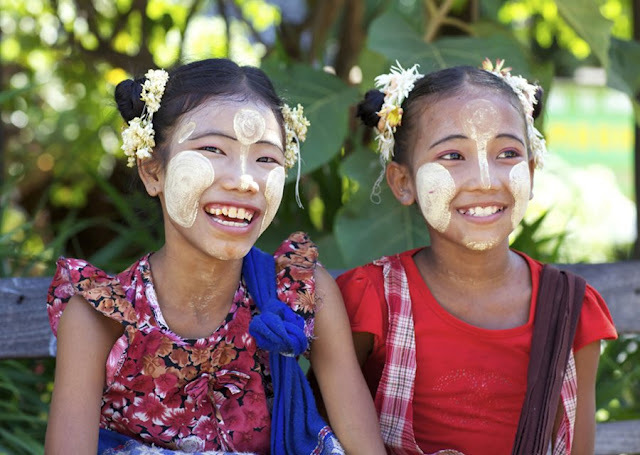 Walking along the peaceful village roads, living in a rustic countryside, hiding from bustles is what you get on all routes to Shan State, Myanmar. Let’s discover the distinctive features of a Myanmar local market where you can see the mixture of all colors and flavors. 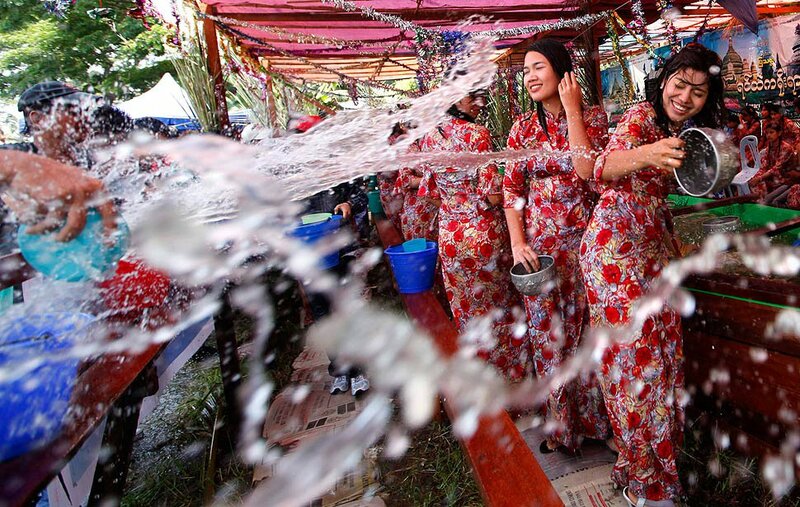 Taking place in April, Thingyan, also known as Water Festival is an occasion in which people could pay their respect to the Buddha. The atmosphere of the festival is most busy in Mandalay where people even prepare water guns. Visited last year!! Local market were Awesome! very much similar to Indian Locality!! The best thing I loved the hotel facilities and accommodation provided by the Online Travel Agents at very low price. Will plan for next visit! !